The API for Knowledge Platforms (API4KP) provides a common abstraction interface for discovery, exploration of metadata and querying of different types of knowledge bases. It targets the basic administration services as well as the retrieval and the modification of expressions in machine-readable knowledge representation and reasoning (KRR) languages, such as RDF(S), OWL, RuleML and Common Logic, within heterogeneous and possibly distributed (multi-language, multi-nature) knowledge platforms. 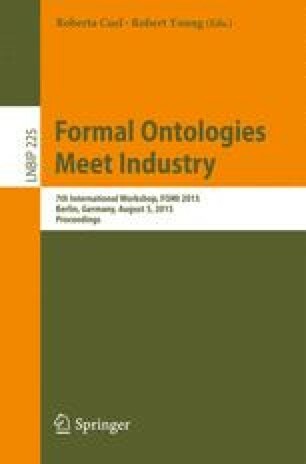 This paper introduces typical use cases for API4KP and, based on their ontological requirements, analyses the representational completeness and clarity of its ontological metamodel.